Parents of soldiers killed while serving in Afghanistan are “furious” after being denied invites to a memorial service for dead servicemen and women. VIPs and politicians, however, are assured seats. The service, due to take place at St Paul’s Cathedral two days before Mother’s Day, will be held in honor of 453 deceased soldiers and many thousands who were injured during the 13-year conflict. The commemoration event, which will hold 2,000 people, was officially announced by Prime Minister David Cameron on Wednesday. Some 906 tickets have been given out for the event, but only spouses of fallen service personnel have been invited – with an option of bringing a guest. 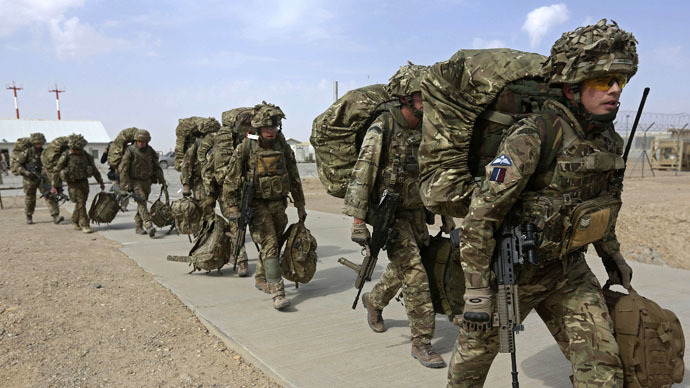 The remaining tickets have been allocated to international partners, supporting groups, civilians who served in Afghanistan, veterans and Armed Forces staff, according to the Ministry of Justice. Given their exclusion from the guest list, the grieving parents of many of the deceased are offended and disappointed. Jacquie McDonald, from Edinburgh, lost her son Sean in 2010 after he stood on an improvised explosive device (IED). Although Sean, 26, had been married for over a year, his mother never had a close relationship with his wife. Jacquie, who has not received an invite, may not have the opportunity to pay her respects. “Nothing can prepare you for your child dying before you – and nothing can prepare you for being denied an invitation when there is an opportunity to remember them,” said Jacquie. “My son made the ultimate sacrifice and I should be able to honor his memory,” she added. Sean McDonald’s death occurred when he returned to a hostile area to assist a fellow soldier in 2010. The hidden device exploded, killing him instantly. Following Wednesday’s announcement, Jacquie McDonald made contact with other bereaved parents who have also been overlooked by memorial service planners. A group of parents are now collectively calling upon the Ministry of Justice to remember the fathers and mothers of deceased servicemen. Janette Binnie, from Fraserburgh, Aberdeenshire, said she feels as though parents have been “alienated.” Her son Sean, 22, died in Afghanistan’s Helmand Province in 2009 with three other Scots. Janette told the Daily Mail she believes parents should be allowed to attend the memorial service. Sergeant Binnie married his wife, Amanda, six months before his death. As his legal next of kin, Amanda has been invited to attend the event in St Paul’s Cathedral. But his grieving parents, who don’t have a close relationship with their son’s widow, won’t be afforded the same opportunity. Outraged by the situation, Janette Binnie wrote to Cameron highlighting her and her husband’s plight. She also called for parents to be added to the commemoration service guest list. Her plea was backed by Caroline Whitaker, whose son Sergeant Gareth Thursby was gunned down by a rogue Afghan policeman in 2013. Gareth Thursby, from North Yorkshire, had been married for seven years, but his mother’s relationship with his wife has ebbed. “It's not an issue with the partners. It's the [Ministry of Defence] MoD’s lack of compassion for parents who have lost their children,” she told the Daily Mail. A spokesperson for the MoD said the service was being organized to honor the contribution of all those who served in Afghanistan. When NATO’s war in Afghanistan came to a close last year, they left behind a legacy of unexploded ordinance that experts claim are killing civilians at a rate of more than one a day. The UN-backed Mine Action Coordination Center of Afghanistan (Macca) recorded 369 casualties last year among civilian Afghanis resulting from such unexploded devices. 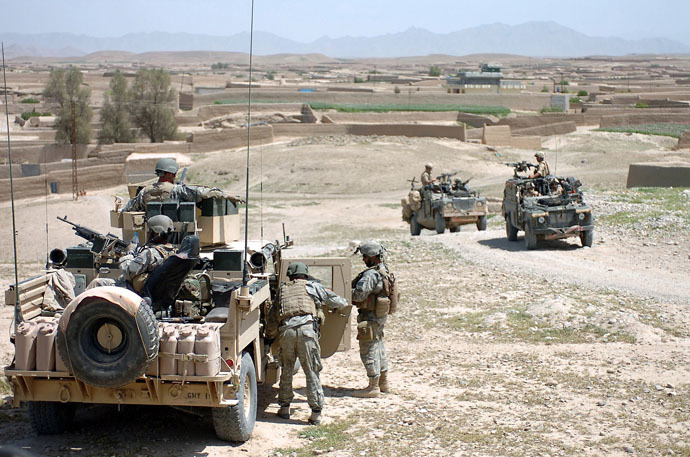 With fighting on the rise again in Afghanistan, the US has delayed plans to fully withdraw its troops from the region. At the beginning of January 2015, a new US-led mission began providing training and support for Afghanistan's military.